Every woman has a backstory. And what we’ve all learned from the #metoo movement is that just about every woman has dealt with some form of sexual misconduct – from bias to sexism to harassment to, in the worst cases, assault. I, of course, have been a victim over the span of my career. I just recently had a conversation with my mother who was a TWA flight attendant back in the days when she was weighed once a week to stay employed and she told me horror stories about the harassment that she had to deal with back in the 1960s. Infuriatingly – other than the weighing thing – my experience in these modern times are almost identical. And a pill that is equally hard to swallow is the realization that by not helping others I’ve seen victimized, I’ve also been a part of the problem. The trip from complacency to complicity is a short and fast road. Over the past few months, we’ve seen some of the monsters of our marketing industry disappear under confidential circumstances. But, we all know what is really happening. Their time is up. And while that is right – and long overdue – it’s not enough to just get rid of them. Because what they leave behind is a culture that has enabled the monsters – and all their bad behaviors – to thrive. It is too easy for agencies to think that they don’t have monsters or that this isn’t a “big” problem for them. If I’ve learned anything in the last six months, it’s that even in a place that you think is good, there are behaviors happening every day that are infuriating and must be changed. We must confront these demons. 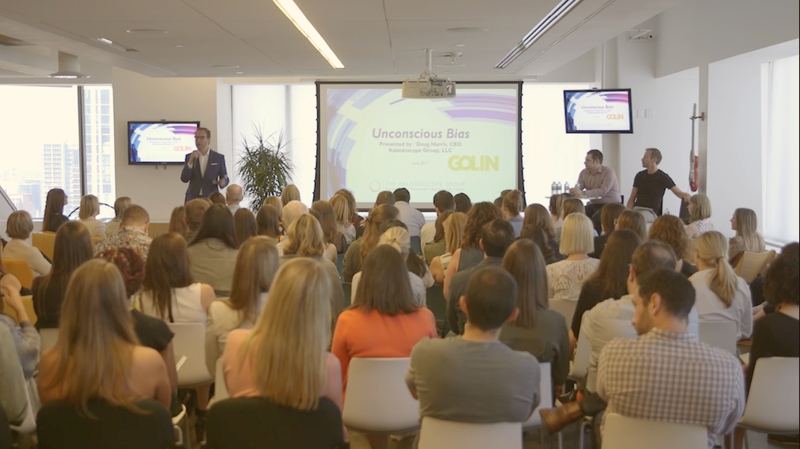 At Golin, our executive board decided unanimously that while we weren’t aware of any “monsters,” we wanted to take this moment and push for an Empowered Culture. To do that, we needed to ask people what they have gone through and continue to go through: from their experiences with co-workers to clients to hired talent to media. And then, we needed to believe them. A task force of Gary Rudnick (CEO), Ellen Ryan Mardiks (Vice Chair) and Carrie Galli (Global Head of HR) were my partners every step of the way in realizing our path of action, which started with traveling to each office in the U.S. to host town halls. Our goal was to listen before we acted; to listen to understand versus listening to respond. And boy did we get earfuls of things that are happening that are not ok.
We are still in the midst of acting now. And while we know we aren’t going to get everything right, we are going for progress over perfection. And here’s the biggest thing we learned: our people want more than a code of conduct, an online sexual harassment training or a hotline. They want to be armed with real actions and responses to real-life scenarios. A big aha coming out of our meetings is that we do not arm our talent with any specific ways to handle scenarios when they happen – regardless of whether they are the victim or witness to the misconduct. This seemed like something we could take on. So, we have. We’ve since conducted workshops using real Golin scenarios and are devising our Empowerment Guidelines based on pressure testing and focus groups we’ve held with our people who are on the frontlines. I know that I personally will be better for having these and really, why has it taken this long to do this? 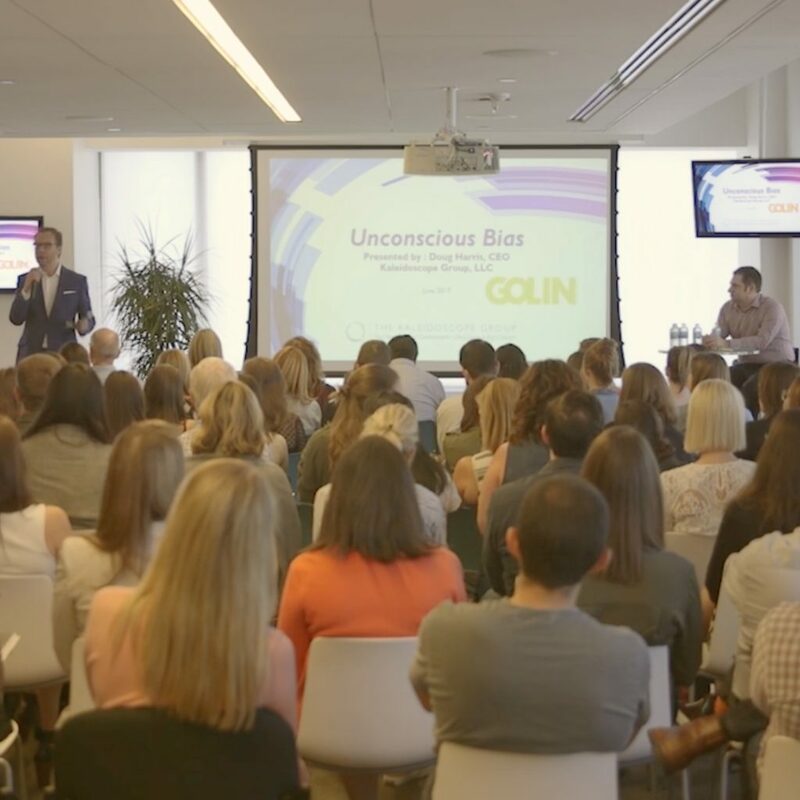 The single best education tool for the men and women of our agency has been learning about the scenarios that have occurred at Golin with colleagues, clients and others. We keep names confidential of course. But the sheer amount – along with the audacity – makes everyone understand that even if we don’t have a monster, we have a problem that needs to be fixed. And I may be biased, but as we continue to share these scenarios, we very much want people to actively avoid being the cause of any story on that list. To do that, the list needs to be shared and become a part of our empowered culture. This spring, we will embark on trainings across the country on the behaviors that make up an empowered culture, grounded in what’s really been happening. These trainings will not be a one and done, but the beginning for a sustained, purposeful, evolving culture that must be actively nurtured in perpetuity. It should go without saying that doing all of this will not be enough if we aren’t willing to also address the bad behaviors. Another very positive step is the positive effect we’ve seen in our leaders as they have the tough conversations with colleagues and clients, and the transparency with which we are doing so. Before #metoo and Time’s Up, these would be few and far between and kept hush hush. It’s no longer enough to not be the person behaving badly. Being a good “guy” or “girl” now means taking action to change the systemic issues that have perpetuated this toxic culture for, well, eternity. This is not just a woman’s issue. This is about humanity. We’re so proud that at Golin, we have women and men working together to affect change – that’s a great indication of more to come. There is a long road ahead and we will get things wrong. But in this moment, we have to demand a better way forward because there is no going back. You can count on it.